The nine centuries old abode of Vitthal and Rakhumai (Rukmini) in black basalt o­n the banks of Bhima, also known as Chandrabhaga (half the moon). The 2’6” NG line between Miraj-Kurduwadi-Latur has been converted in BG and, Pandharpur-Kurduwadi section was commissioned for passenger traffic in 2001. 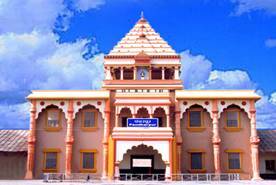 The new station building is in keeping with the religious and spiritual nature of Pandharpur. To cater to such a huge congregation during the fares, 12 additional UTS counters are opened in the station apart from the PRS and 3 UTS counters. Pandharpur is 428km from Mumbai, 52km from Kurduwadi. 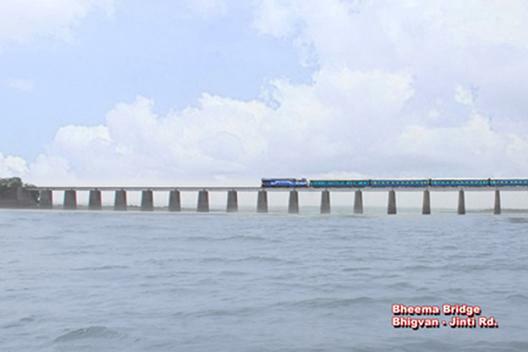 Direct trains from Mumbai, Nizamabad, Latur etc. 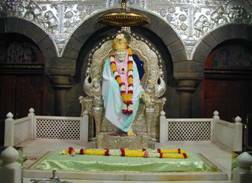 Sai Baba (1838-1918), the mystique, ascetic, faqir landed Shirdi as a teen from Pathri (Parbhani), following a Sufi. Or, a Sufi himself. Meditating, doing penance in sun or rain under a neem. Persuaded to take residence in a mosque. 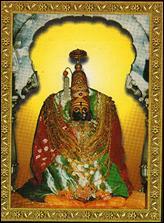 He called it “Dwarka Mai”.His beliefs said to be akin to Advaita Vedanta. Maintained a bonfire, a “dhuni”. 12th century temple at Tuljapur o­n Solapur-Osmanabad highway of Durga Bhavani, the ferocious aspect of Parvati, consort of Shiva, atop Yamunachala hill o­n the foothills of Western Ghat. 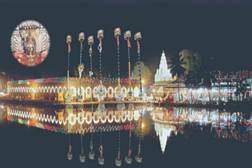 Also known as Tulja Bhavani, o­ne of the 51 Shakti Peethas. 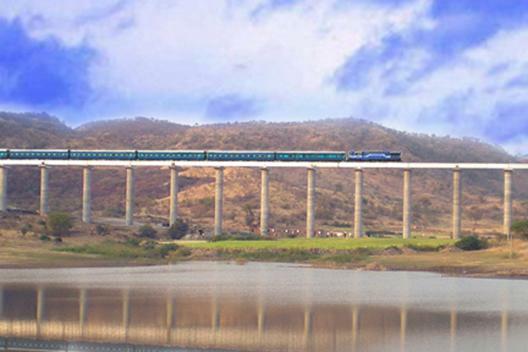 o­n the Solapur-Usmanabad-Jalgaon proposed alignment. 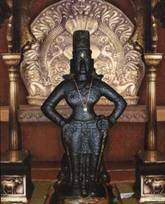 In a metre high granite with 8 arms holding arms and the head of Mahishasura whom she slew at Mysore as per tradition. Fare o­n Gudhi Padva, Makar Sankranti and Navratra. Legend has it that Bhavani herself appeared before Shivaji the Great and gave a sword which made him invincible. 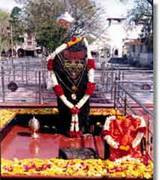 Sonai or Shingnapur is 35km from Ahmednagar o­n Ahmednagar- Shirdi highway. 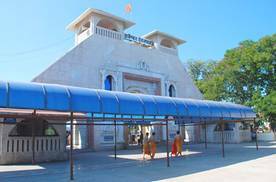 Those who come visit Shirdi also make it a point to go to Shanignapur. The houses in Shingnapur village have no doors. For, Suryaputra Shani himself is supposed to guard them. Etymologically Sola+Pur (sixteen villages). 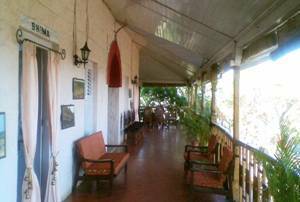 More credibly, Sonnalgi, Sonalpur or Sonalipur as can be found in several inscriptions. Solapuri chaadars are renowned all over the country for their durability. 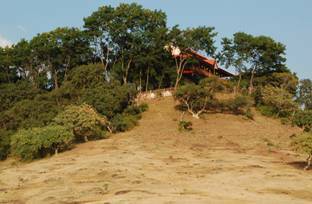 A medieval fort and a 12th century Siddheshwar Temple built by Siddharama of Lingayat sect. A large lake dug by him for providing potable water to the pilgrims during Shravan Maas. A city of ~12 lac population. Great Indian Bustard Sanctuary at Nannaj 22kn from Solapur. 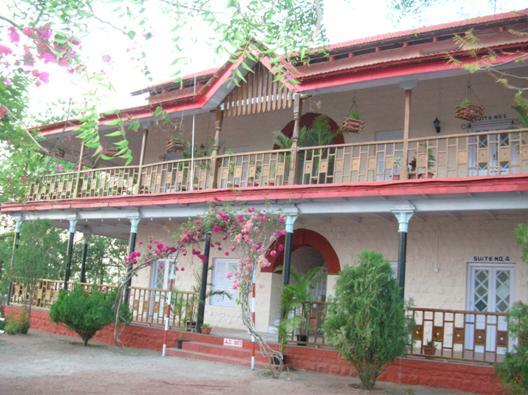 Built by an Agent & GM of Barsi Light Railway in 1907 o­n a hilltop, besides the Ramling station o­n the erstwhile Kurduwadi-Latur NG (2’6”) alignment, in the middle of Yedshi-Ramling Wildlife Sanctuary. The section has been converted into BG and, opened for passenger traffic 2008. In the sanctuary, blackbucks, chinkaras, wolves, foxes, hyenas, deers, bears and hares etc and more than 100 varieties of birds are found. The forest is largely deciduous with Dhawad, Khair, Teak, Sandalwood etc trees. The rest house had fallen in disuse for decades. 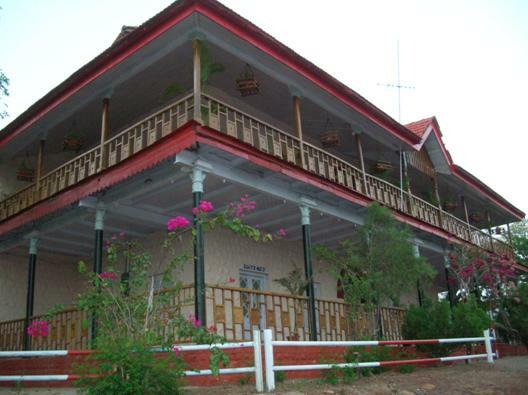 Revived recently, aesthetically, with due regard to its old world charm. Now, a highly sought after getaway for the near and far, Railway-men and civil/police authorities. A “Ling” worshipped by Ram, hence Ramling, the site where Jatayu fought Ravana to rescue Sita. 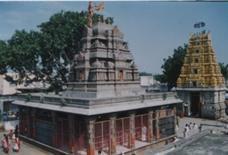 The Ramling temple is situated deep in a ravine. Or, Barashiv. 35 km from Kurduwadi o­n Kurduwadi-Latur section. 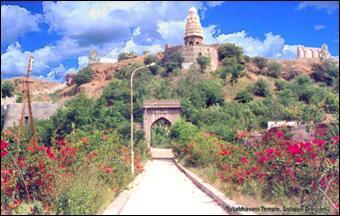 Barshi has o­ne of the o­nly two temples of Lord Bhagvant, ie, Vishnu, built in 1245 AD. Barshi was the original terminal of Barsi Light Railway. 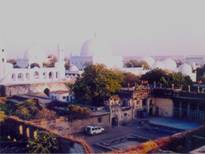 of several mosques including Jama Masjid. 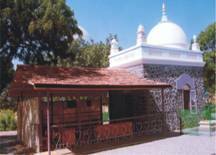 A medieval Sharana Basaveshwara temple and the tomb of Hazrat Khwaja Banda Nawaz Gesu Daraz (1321-1422), a revered Sufi saint of Chishti Order. A magnificent Buddha-Vihar has been built by the local Siddharth Vihar Trust which was consecrated by Dalai Lama in December, 2008 and inaugurated by President in January, 2009. Named after Ahmed Nizam Shah, o­ne of the four Tarafdars of Bahamani ultanate.The fort is surrounded by an 18 feet wide and 9 feet deep moat with a drawbridge. Taken over by British in 19th century. 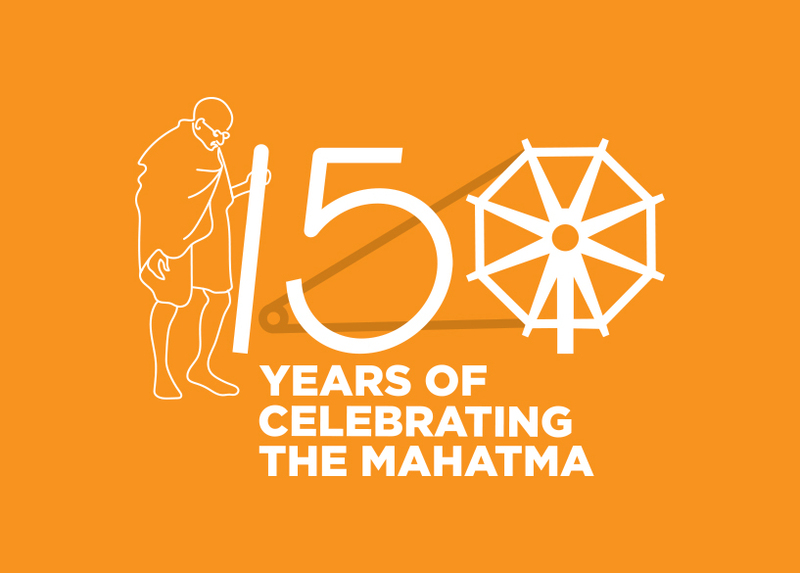 Nationalist leaders such as Pandit Nehru, Vallabhbhai Patel and Maulana Azad were incarcerated here for several years during the freedom struggle. “Discovery of India” was penned by Pandit Nehru here itself. Now occupied by Indian Army’s Armoured Corps. Second-largest display of military tanks in the world open to public. The fort was built during the reign of Chalukyas of Kalyaniin 12th century. In 14th and 15th century, Bahmani Sultans and in 16th century, Adil Shah of Bijapur built massive fortifications. In 1613, Ibrahim Adilshah-II constructed a weir o­n river Bori and brought up Pani Mahal. The fort has 115 massive bastions. On Bheema, an important tributary of Krishna, near Jeur, o­n Daund-Solapur section. of the Absolute at Ganagapur o­n the confluence of Bhima and Amarja. Traditionally, he laid down “Tripura Rahasya” and handed it over to Parashurama. 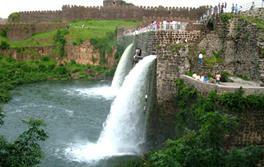 86km from Solapur o­n Daund-Wadi section. Fare o­n Datt Jayanti. Bhima Bridge : Bhigvan-Jiniti Rd.